Home Announcements ARCO Group sponsors 2 athletes in MoC Student-Athlete Scholarship! 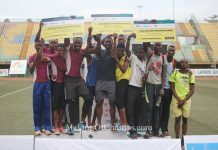 For the first time ever in the history of Nigerian Athletics, a corporate organisation has awarded scholarships to up-and-coming Track and Field athletes based in Nigeria, and they are none other than Oil and Gas company, ARCO Group. 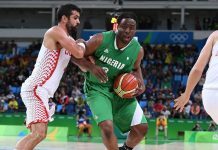 ARCO Group performed this groundbreaking feat by reaching an agreement in March 2016 to support two high potential athletes from Making of Champions’ (MoC) Track Club for four years, while studying for their university education in Nigeria and preparing for the Tokyo 2020 Olympics. 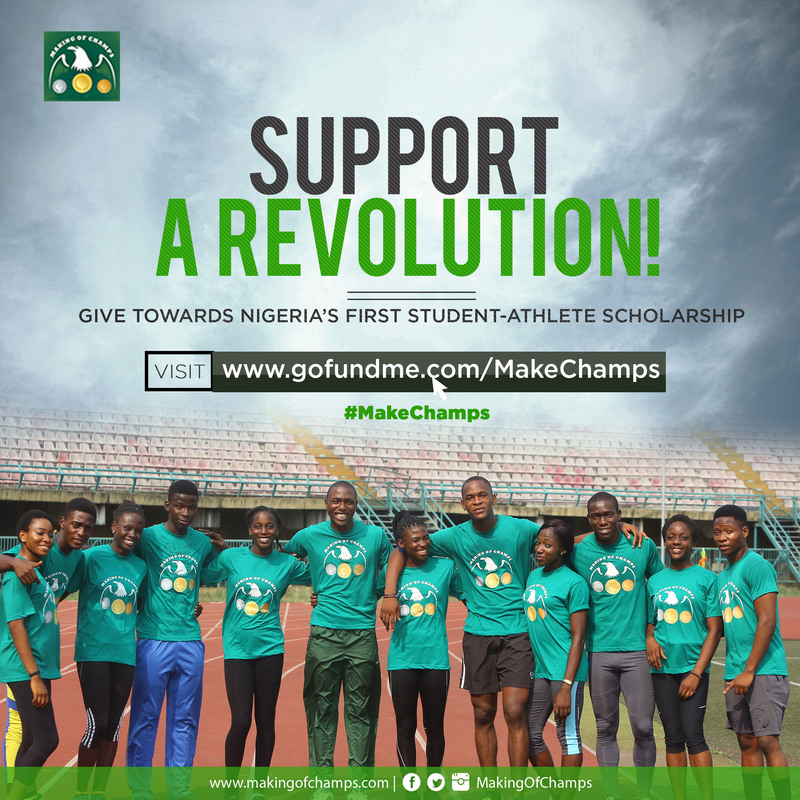 This support covers the athletes’ tuition, accommodation, nutrition, training and competition costs. Incidentally, both athletes were discovered at the 2015 Top Sprinter competition in Benin, and they are 17-year old Joy Udo-Gabriel and 18-year old Jeremiah Jakpa. Udo-Gabriel was crowned the fastest school girl in Lagos in 2015 and has since rubbed shoulders with National athletes. 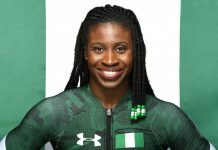 Following the intervention of ARCO Group earlier this year, the University of Lagos diploma student has witnessed a meteoric rise in her career, shaving off over one second from her 2015 Personal Best (PB) of 12.91s in the 100m which she clocked at the Lagos Secondary School (Ibile) Games. 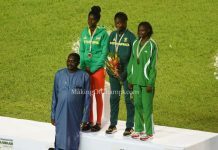 She competed in a number of National meets this year and won the ‘B’ final at the Athletics Federation of Nigeria (AFN) Golden League in Akure in a new PB of 11.87s, where she defeated her senior colleagues in the 100m. As a result, she was ranked No.16 in the country coming to the 2016 Nigerian Trials held in Sapele in July, where she ran in the 100m Semi-Finals, clocking 11.88s. Jakpa caught the eye of the MoC coaches while competing in the Benin, running in the senior category of the men’s 100m and 200m where he placed 5th in both races, despite his status as a junior athlete. Under the guidance of MoC Track Club and thanks to ARCO Group’s support, Jakpa recorded a new PB of 10.82s, winning his 100m Heat at the D.K. 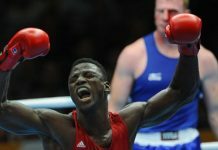 Olukoya National U20 Championships in June. Jakpa completed his Foundation year at the Federal University of Petroleum Resources in July. He recently moved to Lagos to train under MoC Head Coach, Deji Aliu, and is awaiting admission to the University of Port Harcourt in Rivers State. 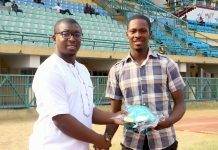 As part of the process of awarding Udo-Gabriel & Jakpa their Student-Athlete Scholarships from ARCO, development levies were also gifted to their former clubs, Olapade Athletics Club in Lagos and Favoured Stars Athletics Club in Warri respectively, to reward them for their work in discovering these two talented athletes, and to encourage them to continue the development of Youth & Junior Athletes in their respective clubs! Udo-Gabriel and Jakpa are the first two of eight MoC athletes to be awarded the student-athlete scholarships. 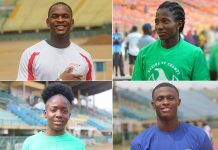 The remaining six – Eserogehene Oguma, Ifunanya Moughalu, Chiamaka Egbochinam, Chibuike Egbochinam, Peter Edwin and Onengi Ikoko – are also on the shortlist for the scholarship, which would be awarded when other corporate sponsors come on board, and provided that they maintain their status as University or Secondary School Students in Nigeria. 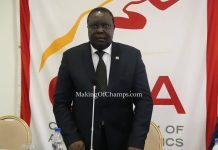 Commenting on this pioneering and innovative development, MoC Founder and CEO Bambo Akani said: “This is a redefining moment in Nigerian Athletics and is certainly a groundbreaking achievement by all standards. It has been a tough few years trying to get Corporate Nigeria to support our vision of raising Nigeria’s next generation of world beaters. 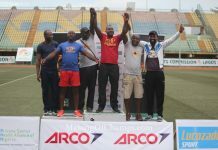 MoC is conducting the second edition of the Top Sprinter competition where the likes of Udo-Gabriel and Jakpa were discovered. 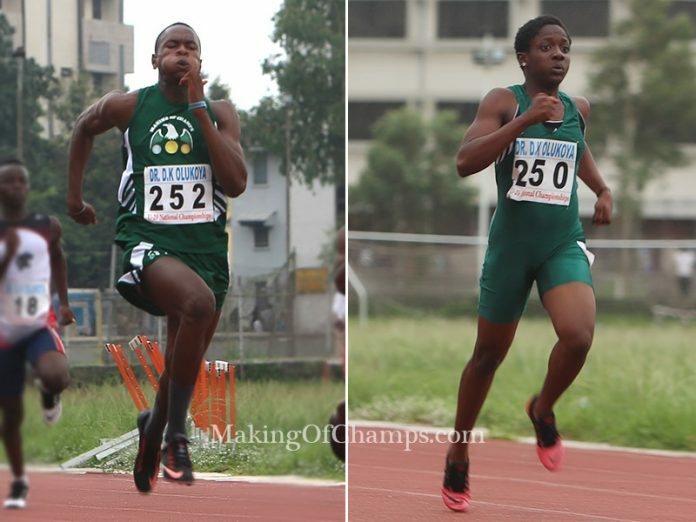 The competition holds from September 29 to October 1 at the Teslim Balogun Stadium, Lagos, and serves as an opportunity for Junior & Youth Athletes all over Nigeria to audition for MoC’s second class of Track Club Athletes to be shortlisted for the Student-Athlete Scholarship! However interested athletes must REGISTER on or before Sunday, September 25. Don’t miss it! 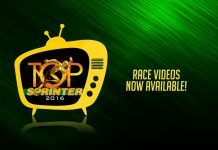 You could be the next Top Sprinter for Nigeria!